Planning is underway for the third year of the Cornell All Forage Fed Bull Test. Weight gain on last year?s 112-day test was a success with an average gain of 1.7 lb on a diet of ensiled forages and mineral. Monthly updates were provided to consignors and other producers with the information posted to http://beefcattle.ansci.cornell.edu/. The young bulls were body conditioned scored and weighed every 28 days. Hip heights were measured to determine frame scores. Breeding soundness and carcass ultrasound exams were performed at the conclusion of the test. New York is well positioned to take advantage of the growing demand for pasture-finished beef due to its rich grazing resources and proximity to large urban markets. One of the keys to profitable production is the use of genetics that will result in a quality product within a feasible timeframe. Raising animals through a second winter presents challenges both from an economical and production standpoint. Consequently, the ideal scenario for producers is to combine appropriate genetics and sound management to achieve good carcass quality within 20 months. This will allow producers to calve on pasture in the spring (~May) and finish animals prior to the onset of a second winter feeding season (~December). The forage based test is a cost-effective option to help breeders and buyers assess and compare bull cohorts raised under commercial conditions. A comment from past consignor was, The data collection was well worth me sending bulls. I do not have scales on the farm so don?t know how much my cattle are gaining. I can track gain of different breeding lines. That piece alone was worth participation. This year's test has expanded to 140 days. Delivery dates are January 8 and 9 with the test beginning January 15. Cost of the test is $650. Nomination form with a non-refundable $50 deposit is due by October 1 with the balance due at the time of bull(s) delivery. If you are interested in consigning a bull(s) or want additional information, contact Nancy Glazier at (585) 315-7746, nig3@cornell.edu or Mike Baker at (607) 255-5923, mjb228@cornell.edu. 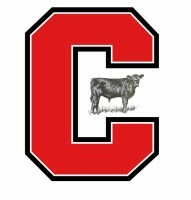 Test rule, age requirements, and forms can be found at http://beefcattle.ansci.cornell.edu/eventsprogram.